SEE Interactive Dictionary is available online. All the familiar characteristics are included. Access with the Internet on iPads, iPhones, and all other similar devices. 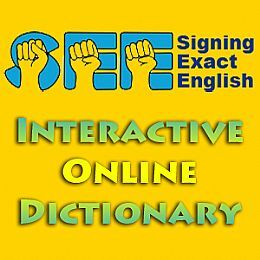 For more information and price Click link www.signingexactenglish.com to Join.